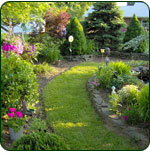 Lancaster Lawn & Landscape has been in business since 1996, serving Lancaster County and beyond. We are a locally owned and operated business committed to providing professional quality lawn care and landscaping services for your home or business. We offer year-round service including spring and fall clean-up, hardscaping, skid loader service, stump removal, and snow removal. We are fully insured, so you can rest easy knowing your property is in good hands. 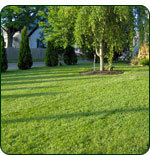 Call 717.786.4416 for a free estimate.